Making sure Yoti optimises its products, services and partnerships to make life simpler for its user community. Ensuring Yoti stays consistent with its mission to build trust and give the user control of their personal data. Reporting any breaches of trust and representing any concerns shared by a significant percentage of the user community. For at least the last two decades, I have been encouraging solutions to identity issues that start by empowering individuals. In Yoti I see one of the most creative and potentiated approaches to this challenge, and welcome the opportunity to help guide the company’s efforts as the new and protean marketplace for individual empowerment evolves. As one of the first people to recognise the transformative nature of the internet, Doc has been active and public in the tech and digital space for more than three decades. He has championed the use of technology in ways that benefit individuals, is a principled advocate for open source software and freeware, and also works to increase the control individuals have in digital interactions with companies. Doc does most of his work in partnership with his wife Joyce, and they live in Boston, New York and Santa Barbara, California. 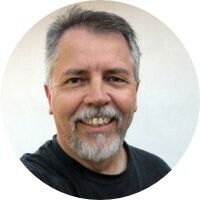 Doc is perhaps best known as an author through his books: The Intention Economy: When Customers Take Charge, which covers the increased independence and empowerment of customers, and The Cluetrain Manifesto, which was an early prediction of the impact the internet would have on society. Doc is the Founder and Director of ProjectVRM at the Berkman Center for Internet & Society at Harvard University, a long-term research and development effort working to provide customers with tools that provide both independence from vendor lock-in and better ways of engaging with vendors (cyber.law.harvard.edu/research/projectvrm). He also co-founded the Internet Identity Workshop, a twice annual un-conference bringing together everyone working on digital identity with a user-centric focus (www.internetidentityworkshop.com), and serves as a Senior Editor of Linux Journal, one of the largest and longest running publications for open source enthusiasts (www.linuxjournal.com/blogs/doc-searls). Doc holds multiple academic positions, teaching, leading research projects and mentoring students on projects as a Fellow at the Center for Information Technology and Society at University of California Santa Barbara (www.cits.ucsb.edu) and as a visiting Scholar at Studio20 at New York University (journalism.nyu.edu/graduate/courses-of-study/studio-20). Doc brings several decades of experience in user-centric digital identity to the Guardian Council to make sure Yoti is empowering its users to be independent actors who retain autonomous control over their own personal data. Doc will also help Yoti identify complementary initiatives and products that share the same values around serving the needs of individuals, rather than the companies that individuals engage with.